The 3TEC anodised aluminum heritage plates offer great resistance, durability and practicality for patrimonial identification, and can be fixed with rivets or self-adhesive – ideal for any surface. With them, you guarantee the identification of your assets in a simple and safe way. 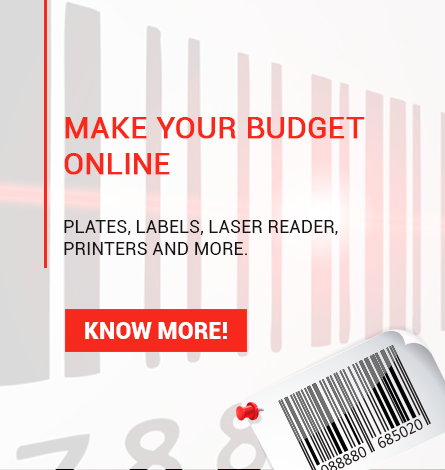 With high bar code resolution, the aluminum proprietary plates have a thickness of 0.30 mm and 0.15 mm. The measurements in millimeters vary between: 30 × 15 – 40 × 13 – 40 × 20 – 45 × 13 – 45 × 15 – 46 × 18 – 50 × 20 – 54 × 27. In addition, the aluminum proprietary plates can be colored or in black, according to the customer’s need. Options with or without adhesive, with or without holes. 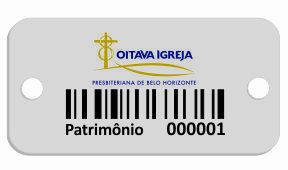 Identify the heritage in your company with the 3TEC heritage plaques and boost the entire patrimonial control process using heritage plates with a bar code. 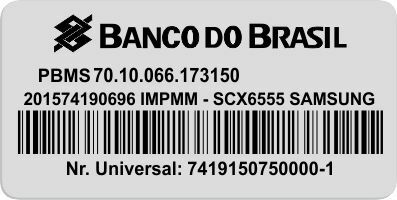 The plates or labels in the Bank of Brazil standard are necessary to comply with the requirements of the BB when he is buying property. When these goods are delivered, the patrimonial plates must already be fixed in it. When the goods are delivered by the supplier, the standard bank plates of Brazil are already fixed in the assets for the identification of assets. • Measures 54 x 27 mm, thickness of 0.30 mm, durability over 20 years. • Imported anodized aluminum, black print, 2400dpi, standard barcode 39. Do you have any questions about the product or do you want to make a personalized quote? Contact us. It will be a pleasure to serve you! We attend any quantity and send to the whole country.